I'm a bargain hunter, it's in my genes. From my Gran Phillips teaching me the ways of the reduced counter, to my own mental map of every local supermarket in the area's mark down product section, I'm all about the savings, and rarely care about the packaging. 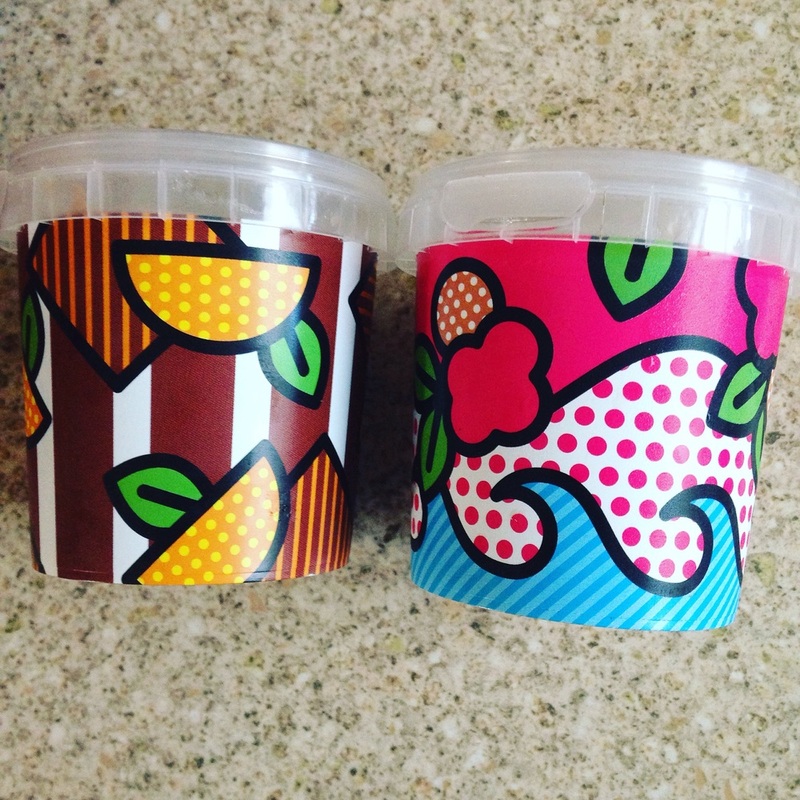 However, put something in a retro style design container & I will buy it despite not even particularly liking it- see the 1970s' 7-Up tins that have been available over the summer; I never drink the stuff otherwise. Thats where today's product comes in, with its colourful, mid-centuryesque, simple design. 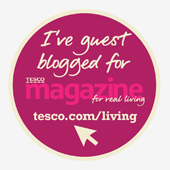 I had them in my basket in Sainsburys before I'd even read what they were properly. What are they then? 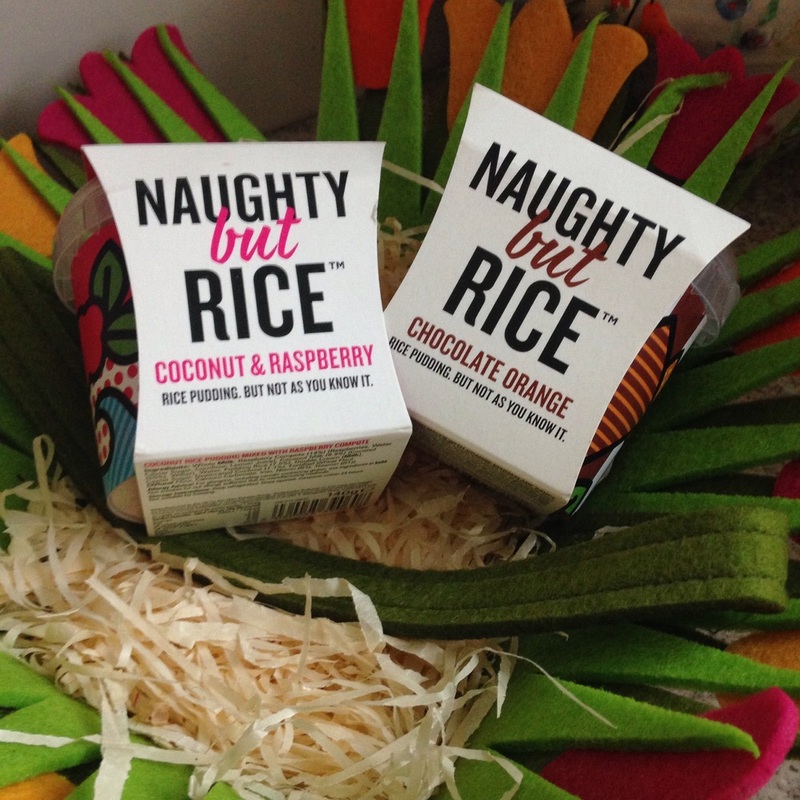 Fancy rice puddings, with the puntastic name Naughty But Rice. The flavours are Raspberry & Coconut, and Chocolate Orange. There's also a Salted Caramel variety, but Holywood Sainsburys didn't have it in stock. I wasn't mad about the raspberry one, despite being a coconut fan, but the chocolate orange is AMAZING and is getting bought again. As with traditional rice pudding you can serve hot or cold, and they are so filling they could even be a sneaky treat of a breakfast. They also might make a good break to send in to school. Let me know if you try them what you think.